Born out of freestyle battles, late night skate sessions, and using his brother’s deejay equipment without asking, came a young Puerto Rican obsessed with finding, collecting, and playing the sounds that moved him as an adolescent. The music that became the backdrop to his thoughts, to his dreams, and visions were somewhat burned into his memory as songs that were responsible for who he was and what he was to become. By the age of 14 Jsun Paul knew his way around the decks, mixers, and record stores. Lunch money was actually used to buy records, not lunch. The hunger for food subsided as his taste for those rare and unique records were found and played. It wasn’t easy though. Music was harder to find back then and certain records had no labels, no names, no colors, which meant it had to come from Jsun’s memory and even more so his soul. To recall drum sequences, bass lines, melodies, or a certain vibe meant that the music had to be downloaded into his being so that he was able to find what he was looking for. Ultimately that vibe took him from the concrete jungle of Southern California to his current home in Northern California. 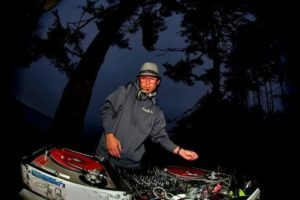 Jsun Paul (Also known as DJ Jsun, or simply Jsun) has been tantalizing dance floors in California and elsewhere for over 15 years. The deep and techy, sultry and seductive, melodic bass with a touch of grime he plays has earned him slots at some of the finest club events and festivals on the west coast like Desert Hearts, Lightening in a Bottle, Northern Nights and more. Jsun Paul’s musical expressions caught the ears of the Los Angeles based Wulfpack Crew, who in the summer of 2013 made him a part of the pack. His ability to play all types of music has provided him with the essentials necessary to hold multiple residencies in Northern California, the longest of which has been going on for over a decade. In 1999, Jsun Paul co-founded Deep Groove Society, a group of like minded musicians, producers, artists, dancers, and promoters, who stepped up to create a production company that provided the tools necessary for people to release their energy and move to the sounds of the underground music culture. For the last 10 years Jsun Paul has been a resident and promoter of Northern California’s longest running weekly; SUNDAZE, located in Arcata California. Every Sunday, Jsun Paul and his crew sets out to create a musical journey and experience for the community that has been fortunate to have had the support and participation of many of the electronic music industries movers and shakers over the last decade. Before Deep Groove Society, it was thought that the underground electronic music culture ended in the Bay Area, but as it turned out there was a musical oasis located farther North in which Jsun Paul and Deep Groove Society were the ambassadors. From deep house to banging techno, tech house to breakbeats, Jsun Paul is sure to make you move and groove, and reinvigorate your soul.